This is the fourth and final installment in The Raven Cycle series, and I’m so sad that it’s over! One of my favorite things about this book was how much Stiefvater left open for interpretation. Seriously, there is so much left to your imagination. It’s always hard for authors to wrap up a series, and I think Stiefvater did an excellent job. Nothing felt rushed or stretched. It all flowed very naturally. In case you haven’t read any of the books yet, here is a little summary. The series follows the story of Blue, Gansey, Ronan, Adam, and Noah as they try to find an old Welsh king named Glendower and deal with tons of crazy supernatural stuff. Also I am warning you, chapters 18 and 19 will give you all the feels. It was borderline painful, I actually had to stop reading for a few minutes and just breathe. Another thing about this series that I really enjoyed was that even though this takes place in the modern day, the main characters weren’t super annoying. In some contemporary books, like one I’m trying to read now, characters use modern day slang and talk like ‘Whaaaaaaaat. Oh my gosh I’m dying I’m so giddy right now’. It’s like the author is trying to be super current and up to date on what ‘kids’ are doing these days, but I just find it unrealistic and kind of unintelligent. In my experience, no one really talks that way. I think that’s the main reason I don’t like many contemporary novels; because of the cringe-worthy way teenagers are portrayed. Rainbow Rowell is one of the few contemporary authors I can stand to read. Anyways, back to The Raven Cycle. Even though its not fully a contemporary series, it does still center around modern day teenagers, but Stiefvater wrote them in an intelligent and realistic way and I really enjoyed reading that. I gave this book 5/5 stars, and I will recommend it to anyone on any day. 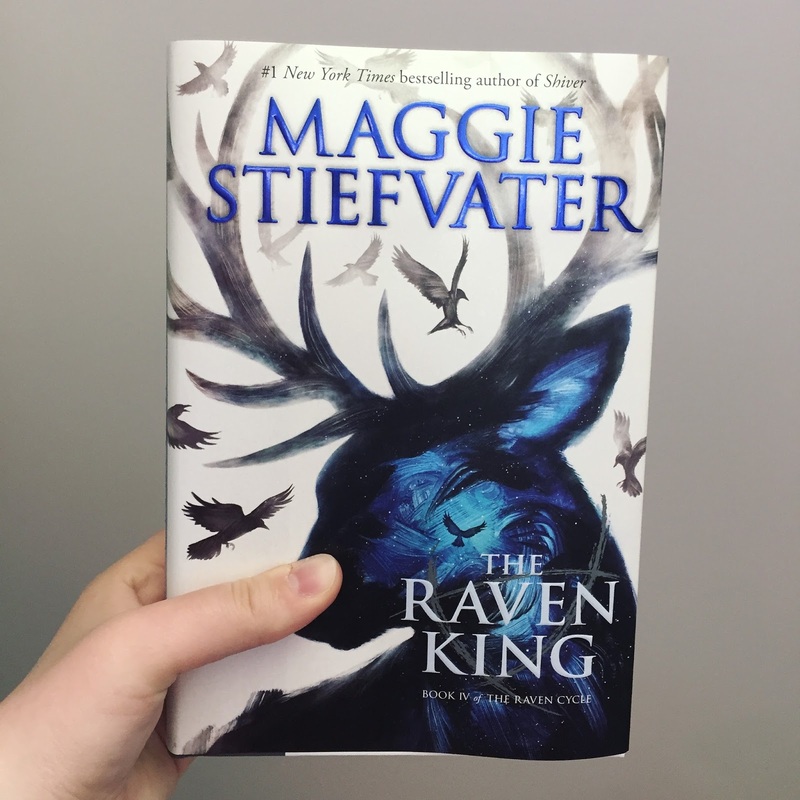 Buy The Raven King from Book Depository and get FREE shipping!